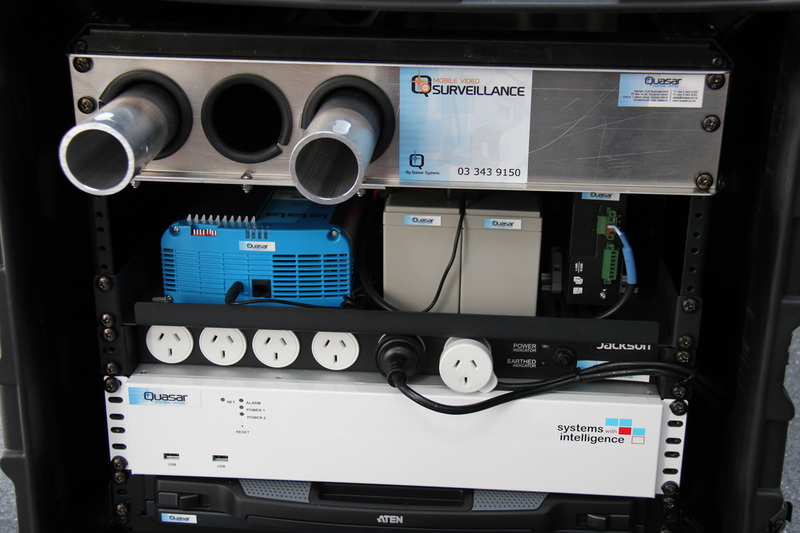 Quasar has a Mobile Video Surveillance solution, which has been designed to be portable, yet rugged so it can sit in a harsh environment such as a remote substation or an outdoor switch yard. The unit is designed to capture video at your site, and when necessary you can access the live or historical video that has been recorded. 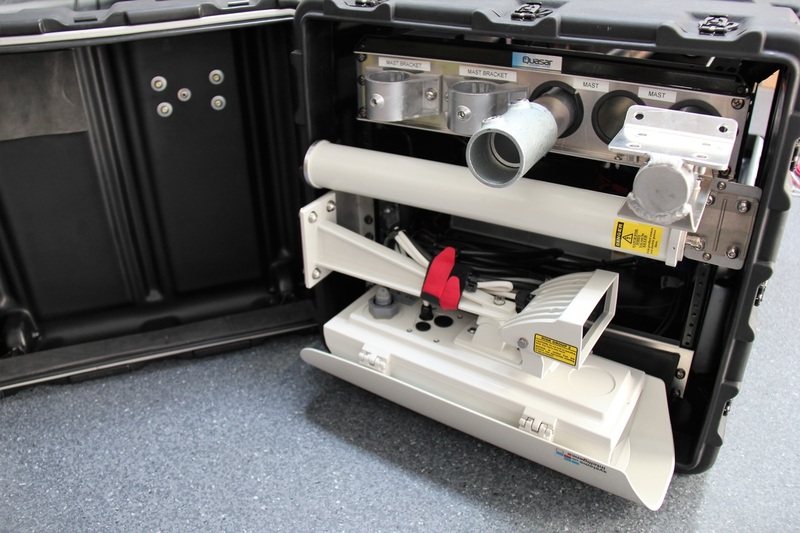 The unit uses a combination of a SWI camera with infra-red illuminator, a SWI DVS and other industrial grade devices to provide a high quality reliable video surveillance solution. There are options to add an additional fixed camera to the unit should you require more coverage on your site. The DVS video analytics can be used to identify and alert you to security incidents. The video analytics rules engine is able to identify various types of intrusions including motion detection and perimeter violation. The advanced algorithms have been tuned specifically for outdoor and substation environments to reduce false alarms. 230V AC supply lead to charge a 24V DC battery bank which supplies the power to all the equipment. 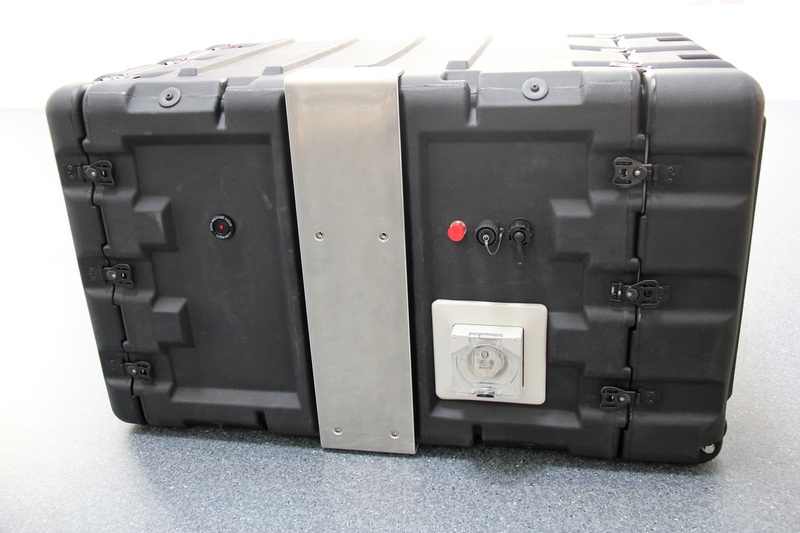 By powering the equipment from the DC battery bank this ensures that should power be lost to the site, the DVS will keep recording and be accessible for up to 6 hours.